Elegantly display stylish necklaces on these Black Dots Necklace Holder that fit securely onto plastic or metal display racks. 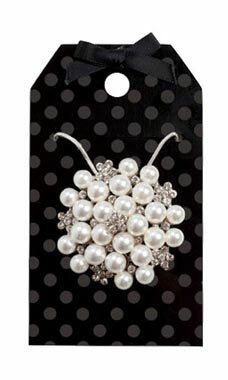 These fun design necklace holder cards can be used to display a single necklace. Combine them with our matching necklace fold-overs (sku 55270) and earring cards (sku 55271) to give your store that complete and polished look you desire.